REGION ON SHOW TO AUSTRALIA’S TOP JOURNALISTS | The International Cricket Hall of Fame. For the second year running, the Southern Highlands has undertaken a major coup playing host to around 30 travel writer journalists and PR representatives converging in the region last weekend. The mega media familiarisation for the Australian Society of Travel Writers was held at the Bradman International Cricket Hall of Fame in conjunction with Tourism Southern Highlands. Traditionally a weekend of cricket, seeing travel writers and PR’s in competition, the weather over the weekend sadly meant that this annual game was not to be, and that the only ducks, were those playing on the water logged Bradman Oval. So, a special guided tour experience was provided for the group of the Bradman International Cricket Hall of Fame, followed by a cricketer’s lunch. This year, apart from the ‘cricket’, these important visitors were treated to a showcase of Southern Highlands product on Sunday, all ‘under the eaves’ at the Bradman International Cricket Hall of Fame. Local products on show included, wines from Banjo’s Run and Sutton Forest Estate, the Bundanoon Highland Gathering, Joadja Creek Heritage Tours, the Grape Escape Wine Tours and Berrima Ghost Tours. There was a strong representation from Exeter with Gallery Ecosse, the Exeter Studio Restaurant and Studio Czes all on show. The artistic side of the Highlands was very evident with local artisans from the Art Studio Trail on display. 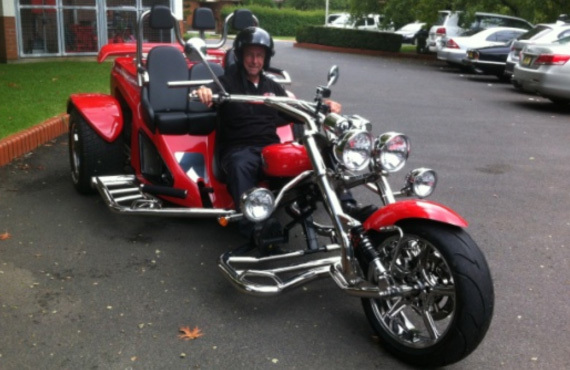 The intriguing and historic property, Hillview at Sutton Forest, highlighted their positioning and versatility, and there was also a local cooking school and the popular FoodPath Tours, creating enormous interest, and lots of noise and excited was created with the new Highland Trike Tours. Steve Rosa, Tourism Southern Highlands Executive Manager, said that the familiarisation for these leading travel journalists will ensure the Southern Highlands is presented to their readers and creates aspiration to visit our region in the near future. “We are confident that our VIP guests thoroughly enjoyed sampling the delights of the Southern Highlands and will spread the word about the area as a major tourist destination. This type of public relations exercise is priceless and gave our local tourism industry, producers, attractions and events the chance to showcase their unique experiences, talents and products to the world,” he said. A live broadcast by Sydney’s Radio 2UE Travel Editor, Mike Smith was conducted yesterday as part of the visit. Tourism Southern Highlands hosts around 20 media events a year, encouraging writers from print publications and broadcast media to try local products first hand and share their personal experience with a wider audience. “Hosting media is a cost-effective marketing tool for our region and businesses in the Southern Highlands, as the high quality editorial that often results from these media visits is invaluable,” Mr. Rosa said.